‘You can do a lot of things at the seaside that you can’t do in town,’ went the Edwardian music-hall song. Soho was in town but, in the four decades after the Second World War, the same rules – or lack of them – applied. 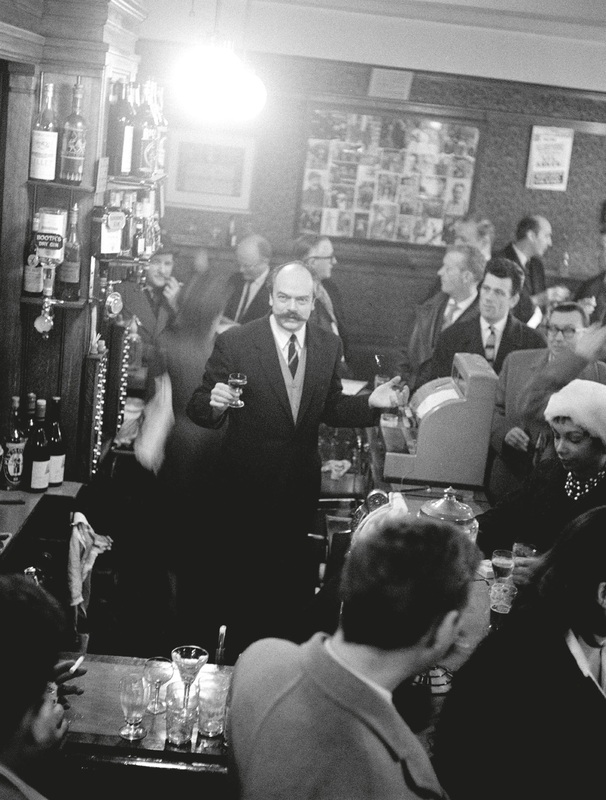 Pubs were closed by law between 3pm and 5.30pm; so the afternoon drinking club was invented. Before I saw one, I’d imagined sitting in a chintzy armchair gently sipping gin and tonic. Reality at the Kismet Club (nicknamed Death in the Afternoon, or The Iron Lung) was different. ‘What’s that smell?’ a visitor once asked. The reply was: ‘Failure.’ Yet the Colony Room Club, under Muriel Belcher from 1948 to 1979, and under the monstrous Ian Board in the Eighties, was more than a taproom for ethanol. Of course, another illegal thing (until 1967 and culturally later) was any homosexual act. Most people were heterosexual, but I think there was less separate socialising than there is today. No one in the Colony cared one way or the other, nor did anyone in the French or the Coach and Horses, the two pubs pre-eminent for conversation (and for hard words of astonishing ferocity). Even so, the stage carpenter Mick Tobin would often say, ‘The only sin is to be skint.’ Then he would laugh, and you would be able to see where his teeth would have been had he not dispensed with their services by the 1980s. Mick was really a proof that his jocular saying was untrue. He had, as Jeffrey Bernard’s elder brother, Bruce, remarked, a talent for friendship. He called Maria Callas ‘Cally’ and Lucian Freud, who painted him as Man with a Check Cap, he called ‘Lu’. Mick generally disapproved of surnames, since some of his friends and relations had no friendship with the police. He called people Ian the Hat, Cockney Di or Stuttering Sarah. Nicknames could be awkward, as someone universally known as Brian the Burglar must have found. The best inventor of nicknames was the drunkest man in the Coach and Horses in the Eighties, Graham Mason. There was a formerly successful actress, Diana Lambert (The Nun’s Story, 1959), who was reduced to selling her furniture to buy whisky. To travel around free, she rode a bicycle with a basket. Her other penchant was for gossip. So Graham successfully landed her with the nickname the Village Postmistress. 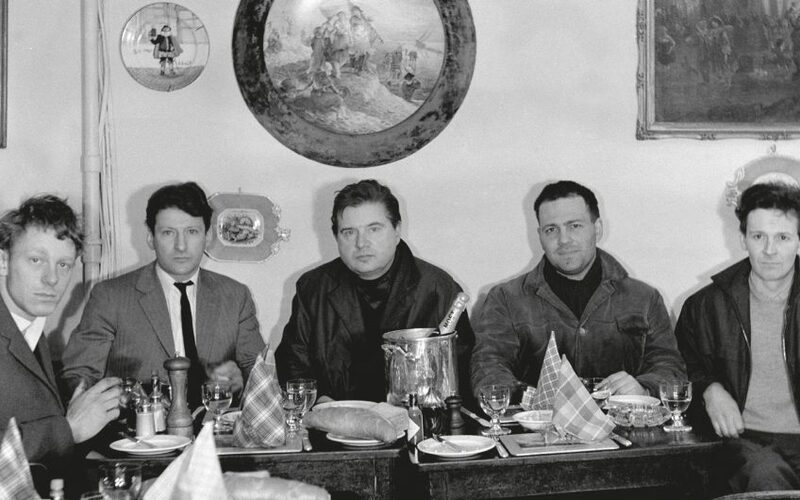 Gaston Berlemont at the French pub, mid-1950s. Graham became a classic exponent of Boozer’s Economics. Drink ruled. He happily paid for a minicab home at night to the Isle of Dogs because he couldn’t walk steadily. But he wouldn’t buy clothes. He wore the clothes that had belonged to the deceased husband of the woman he lived with, Marsh Dunbar. But the late Peter Dunbar was not so tall as he; so the hand-me-downs wore out, not at the knees and elbows, but a few inches further down, where their new owner’s joints rubbed them. It was a surprise when the duffel coat, once navy blue, that Graham hung up in the Coach was stolen. The thief must have been very dim. This incident led Jeffrey Bernard to perform what could only be called a good deed. He said to Graham, ‘Follow me.’ They went to Austin Reed and Jeffrey bought him a good, navy, worsted overcoat that fitted. Of course Graham gave it a mocking nickname: Jeffrey’s Coat. But I knew he was grateful. It seemed in the Eighties that Soho was unchanging. That was an illusion. Certainly the sacred ancestors mentioned in books such as Daniel Farson’s Soho in the Fifties seemed like the people still around in the Eighties, only dead: the cruel-tongued, brilliant photographer John Deakin; the poignant couple of painters, the Two Roberts (Colquhoun and MacBryde); the painter John Minton, also queer, as the term still was, but unhappy about it, ending his life aged 39. Marsh Dunbar, who had known Deakin, defended him against the charge of cruelty, as she defended Francis Bacon. (Bacon, named Deakin’s next of kin, was supposed to have said on inspecting the body: ‘That’s the first time I’ve seen him with his mouth shut.’) To Marsh, Bacon was extremely funny and madly generous – ‘buying as many drinks all round as he possibly could’, as Bruce Bernard put it. There was no worry about pensions in Soho. People didn’t live that long. Jeffrey Bernard was not the only one to be unwell, just the only one to have Peter O’Toole play him in a comedy brilliantly constructed by Keith Waterhouse. Jeffrey’s hobby, as Michael Heath the cartoonist remarked shrewdly, was observing his own disintegration. By the late Eighties his thighs were thinner than his knees. He had nightmares of being eaten by maggots. Two cysts the size of oranges were removed from his neck. Then a leg went. He would wave his stump to emphasise a point in argument. Jeffrey died in the same week as the Princess of Wales and Mother Teresa. Daniel Farson died later that year. Bacon was dead. Ian Board was dead. But it was not the Reaper who killed Soho, nor the changes in drinking hours and sexual mores. The real factor is that there aren’t enough people now who think poetry and painting the items to value instead of money. The first thing Young British Artists of the Nineties learned was how to make out an invoice. Today, when the young would rather text than speak on their mobiles, who goes to a pub to talk, or even shout at each other?